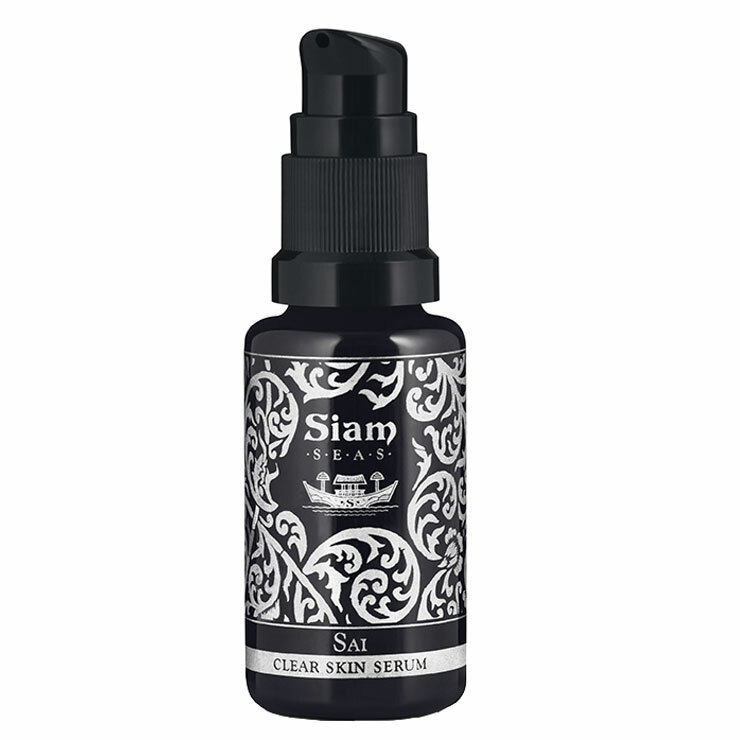 Designed for acne prone skin, Siam Seas Sai Clear Skin Serum is a potent formula developed by Supadra, Founder of Siam SEAS to offer skin visible improvement of blemishes and scarring. Formulated with cooling gypsum, soothing MSM and stable form of Vitamin C, this serum creates a protective and clearing feel on skin. 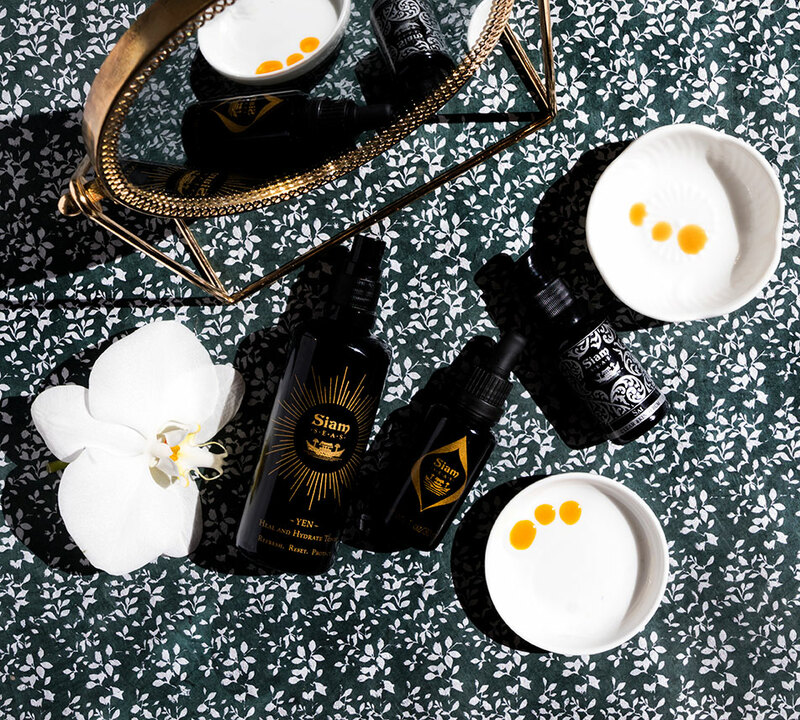 Plant extracts of turmeric and basil offer a calming sensation to irritated or inflamed complexions, while milk thistle and babchi lend a youthful, even-toned appearance. Skin is left feeling clean, smooth, and detoxified with a bright, healthy looking glow. Apply 1-2 pumps to finger tips and press to. warm between the hands. 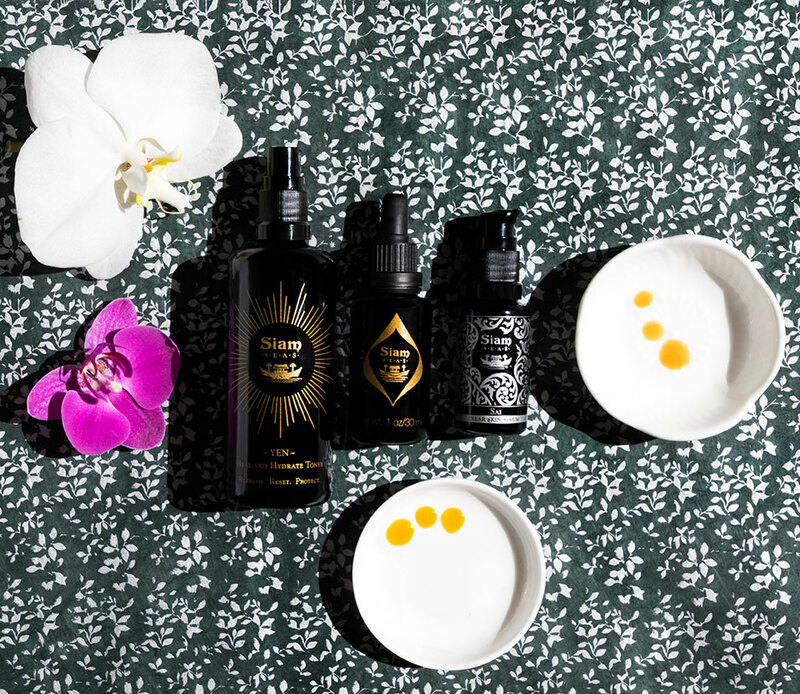 Press serum onto damp skin and massage onto skin lightly. Allow serum to settle for a few minutes before applying further skincare. This serum may feel slightly grainy or tacky upon application, which is normal due to the gypsum in the formula, but quickly absorbs to a smooth finish. Follow with your favorite hydrating serum, oil, moisturizer or sun protection. Very unique products. Smells like expensive Japanese incense, which I like. This has to be shaken vigorously and I can see why people complain about the pump clogging. It also has a tendency to pill up when other products are applied on top. I recommend using it as the last step because of that and I recommend rubbing it between your fingers to heat up those gypsum particles so they dissolve into your skin. I also suggest using pressing motions when applying it to the skin instead of rubbing. I use this at night and on no makeup days as a last step. This product probably won't play well with liquid foundations. Kills blemishes for me before they surface. Kind of amazing. Also, sort of matifies the skin after all my serums and balms in a nice way. Conclusion- I really like it. For me it is effective.